The exact laws governing the sale of property might be slightly different in different states, but there are a few permissions and documents a builder or promoter must have if they are selling flats. Purchase agreement: You should go through this document carefully to make sure it includes everything you were promised. You can only hold a builder or promoter legally accountable for what is in the purchase agreement, not what has been verbally promised to you. The agreement should contain all major details of the construction project such as the project specification, apartments, payment terms, completion deadlines and the type and amount of penalty, should any party default. The agreement should also contain a clause to transfer the common areas to the society. This ensures the plot remains with the original owners and that the developer cannot engage in further construction on this land. Encumbrance certificate: This can be obtained from the office of the registration authority (the sub registrar’s office) and tells you whether the property carries any legal or monetary liabilities or has any litigations pending. It can go as far back as 30 years. Intimation of disapproval (IOD): This is a set of permissions which must be obtained by a developer at various stages of construction. ‘This would involve acquiring approvals and a No Objection Certificate (NOC) from various departments such as the Storm Water and Drain Department, Sewage Departments, Forest Department, Environment Department, Traffic and Coordination Department, Chief Fire Officer, Airport Authority and Pollution Board, among others. 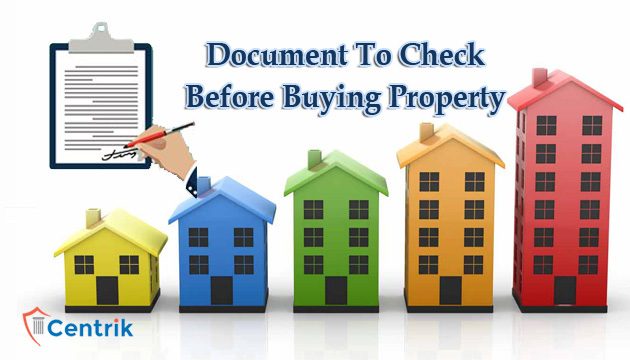 Title Deed: This document will tell you whether the builder owns the property being sold and has the right to sell the property and the freedom to transfer ownership. Insist on seeing the original, and not a copy of the title deed. It will also tell you whether everything is legal or if there is litigation in progress regarding the property. A buyer should check the original deed and confirm that the land is in the name of developer, to ensure that no one else has right to sell it. It is advisable to get the title reviewed by a lawyer. Commencement certificate (CC): This is a document which must be issued by the local authorities and legally allows a builder to start the actual construction work. Shveta explains that this is important as any construction without procuring a CC is illegal. Approved layout plans: The layout plans must be approved by the appropriate planning authorities. Home buyers need exercise caution as there have been cases where developers deviated from the approved layouts, by adding extra floors or reducing open areas. Occupancy certificate (OC): Issued by local authorities, this certificate states that the property has been constructed in compliance with the provided permissions. At this stage, the developer would have completed all necessary water, sewage, and electrical connections.